Thursday February 23 6-9pm. Friday February 24 1-7pm. Saturday February 25 11-7pm. Sunday February 11-6pm. 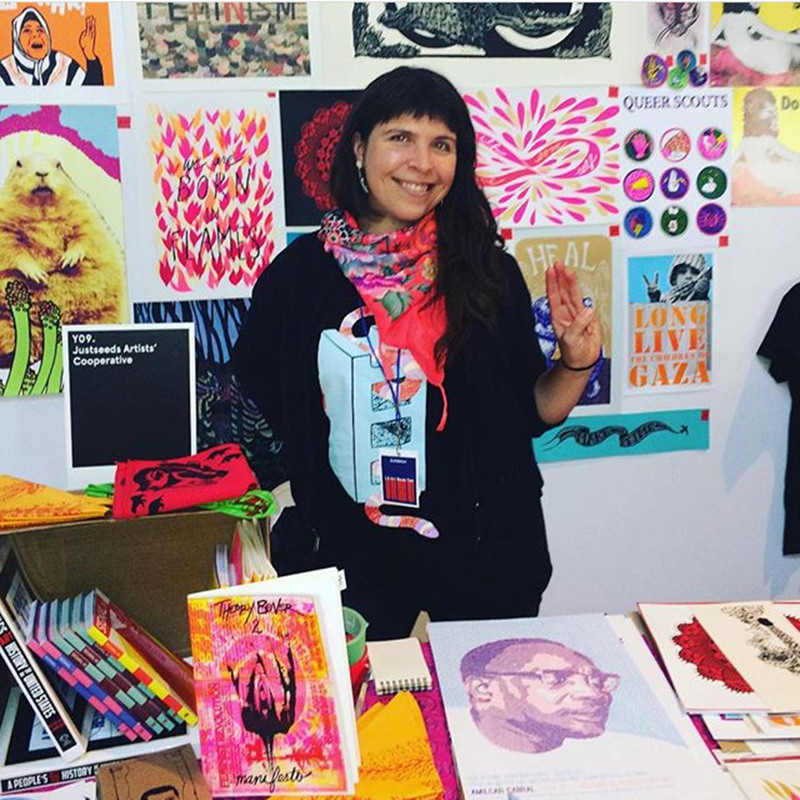 Justseeds will be at the LA Art Book Fair again this year in the Friendly Fire area, with other artist-activist collectives including Visual AIDS, Temporary Services, and Press Press, as well as so many other printers, publishers, and artist book makers. Justseeds artists Meredith Stern and Mary Tremonte will be representing the coop, come say hi! The fair is free all weekend except for the opening party Thursday night.